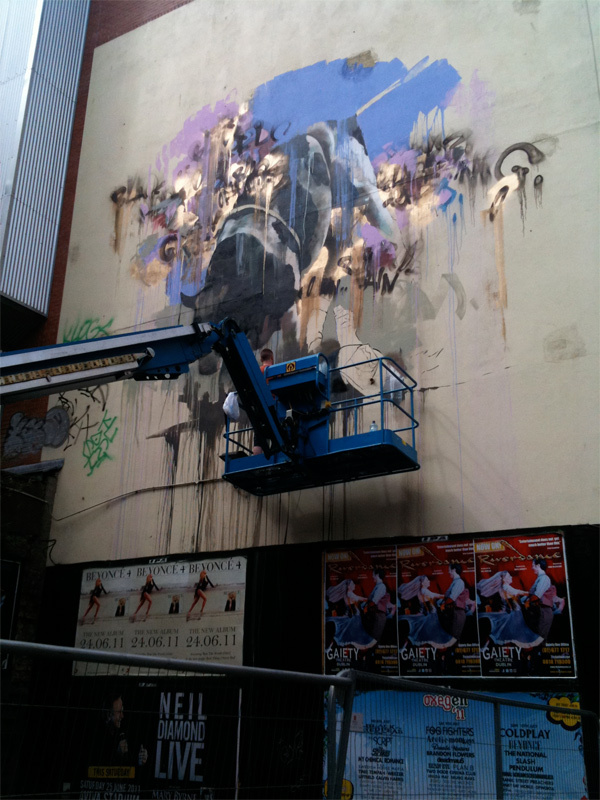 The big highlight of my weekend was stumbling upon a fantastic new work by Conor Harrington in Temple Bar, Dublin. Conor Harrington is probably Ireland’s most renown street artist on the International stage but to date there hasn’t been many big examples of his work in Ireland. Conor who is originally from Cork, is now based in London and his unique style of street art which crosses the boundary with fine art has seen him become a favourite of collectors around the work. The photos below show the work about 3 days in to a 5 day job. While the style is unmistakably Harrington’s there seems to be a departure from his traditional militaria influences. Sometimes you can be amazed at what you find when you look at the details. I find this a lot in cities, where if you keep your eyes open you can see another layer to society, buildings, infrastucture. 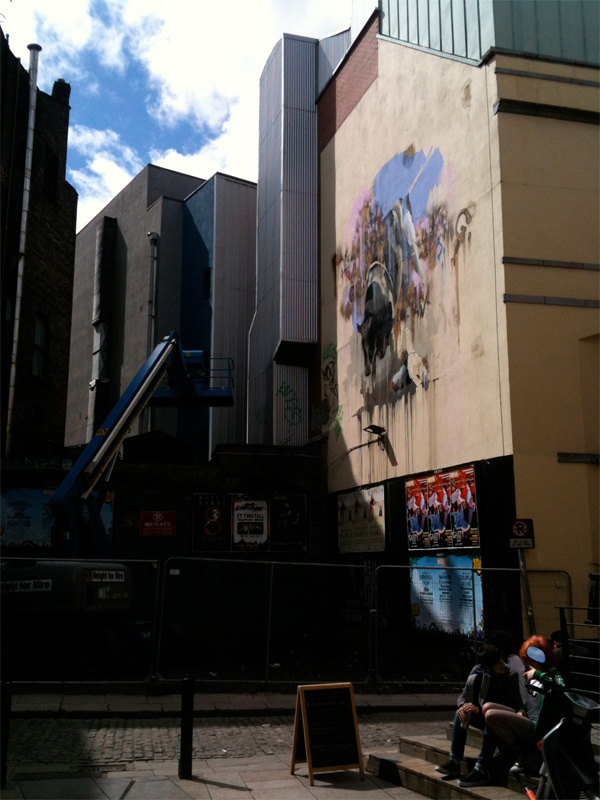 Example – What looked from the other side of Kildare Street as a planning application on a derelict building. That was enough to interest me. Seeing a planning application is an unfortunately rare site in these times. 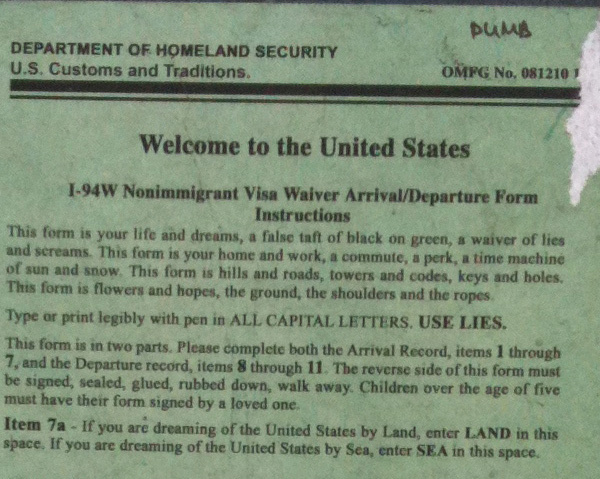 So when you look at it you see that it is not a planning application but a US Visa Form. Obviously there is a strong political message there but where it gets really interesting is when you look at the small print. So someone has gone to the effort of reproducing this form with a reimagined pretext which is really a poem. Who did this? And is it poetry, protest, street art or all 3 either. Whatever it may be it shows how interesting it can be to look at the details and that things may off appear different to how they appear on the surface.